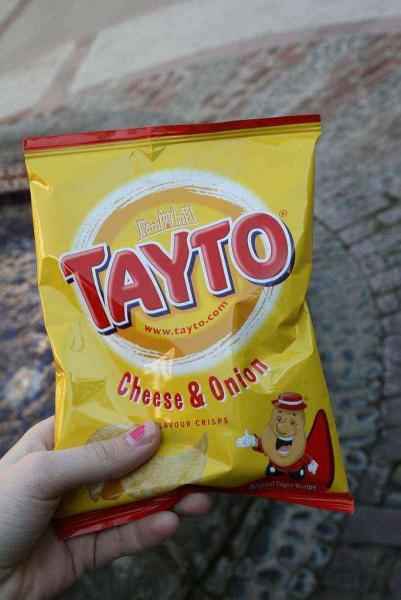 Irish food manufacturer Largo, whose snack products include Tayto, has admitted it sold gluten-contaminated crisps. Celiac.com 01/18/2017 - Irish food manufacturer Largo, whose snack products include Tayto, has admitted it sold crisps contaminated with high amounts of gluten in a packages that were labeled "Gluten Free." The company has pleaded guilty to breaching food safety regulations. After buying a package of O'Donnell's mature Irish cheese and onion, gluten-free crisps for her 10-year-old son, a mother from Arklow, County Wicklow, reportedly noticed a reaction to the crisps when his ears began turning red. The mother complained to the company and the HSE subsequently brought a criminal case against the food manufacturer. Calling the case a "very serious matter," Judge Grainne Malone noted that the maximum penalty on indictment in the cases at the circuit court was a €500,000 fine and/or three years in prison. However, the judge agreed to the jurisdiction of the district court in the case. Giving evidence, HSE environmental health officer Caitriona Sheridan said that products to be labeled gluten-free were required to contain less than 20 parts-per-milligram gluten. The crisps targeted by the complaint tested at more than 700 ppm gluten. Lab tests on a second control sample of the product showed more than 100 ppm of gluten. Two other people have since filed complaints about high gluten in Largo's gluten-free products. The company responded by withdrawing two pallets of the products, which it said contained the incorrect crisps. Counsel for the company, Andrew Whelan, told the court the issue was identified as a malfunction in the line, and that Largo will now package gluten-fee products in a "totally segregated" production area. The company also announced plans to mail a follow-up warning about the recipe to print subscribers. The recipe for Orange-Honey Sweet Rolls included wheat germ and yeast, some brands of which contain gluten. The recipe appeared on Page 18 of the magazine. Publix's swift and decisive action to correct the mistake shows a strong level of commitment to gluten-free consumers. The letter to print subscribers said that "the recipe for Orange-Honey Sweet Rolls, which appears on page 18, calls for the use of gluten-free flour as an ingredient; however, the complete recipe was not intended to be gluten-free. In fact, the recipe includes ingredients which contain gluten, therefore, it is not suitable for those with celiac disease or gluten intolerance." Publix operates 1,039 stores in the Southeast, including GreenWise Markets in Palm Beach Gardens and Boca Raton, Florida. "Domino’s Pizza Becomes First National Pizza Delivery Chain to Offer Gluten Free Crust"
"While Domino’s new Gluten Free Crust is appropriate for those with mild gluten sensitivity, Domino’s and the NFCA do not recommend it for those with celiac disease. Domino’s and the NFCA found that while the crust is certified as gluten free, current store operations at Domino’s cannot guarantee that each handcrafted pizza will be completely free from gluten." So my question is this: How can the NFCA, a national organization dedicated to supporting celiacs, actually get behind this? Domino's is obviously a big corporation that has decided it wants to cash in and profit on the new gluten-free gold rush, but they cleary don't want to spend the money that it would take to make their pizzas truely gluten-free, and safe for celiacs. The Designations area of the NFCA's web site begins with: "Restaurants that complete GREAT Kitchens earn a designation based on their ability to meet gluten-free needs and avoid cross-contamination with gluten." Just below this it describes their "Green Designation" and its "Amber Designation," and describes its Amber Designation as follows: "This level requires ingredient verification and basic training of wait staff and managers. Kitchen practices may vary with this designation, level one of the tier system, meaning those with celiac disease and non-celiac gluten sensitivity should ask questions and exercise judgment when dining at an establishment with an Amber Designation. Domino's has earned this designation." So how has Domino's met "gluten-free needs and avoid cross-contamination with gluten"? Also, I think any celiac who watches the video Domino's made for this release will find it a bit scary...the same ovens, pizza scoopers, topping areas, etc., as where they make their regular gluten pizzas. I would exclude Domino's as an advertiser on Celiac.com based on this release. Some might think that the NFCA has sold out here. I invite them to respond using the comment field below, and I invite you to respond. Also, there is a lively discussion going on in our forum on this topic. Celiac.com 12/05/2014 - To remain healthy, people with serious gluten intolerance, especially people with celiac disease, must avoid foods containing gluten from wheat, barley, and rye. Accordingly, gluten detection is of high interest for the food safety of celiac patients. The FDA recently approved guidelines mandating that all products labeled as “gluten-free” contain less than 20ppm (20mg/kg) of gluten, but just how do products labeled as “gluten-free” actually measure up to this standard? Researchers H.J. Lee, Z. Anderson, and D. Ryu recently set outto assess the concentrations of gluten in foods labeled "gluten free" available in the United States. For their study, they collected seventy-eight samples of foods labeled “gluten-free,” and analyzed the samples using a gliadin competitive enzyme-linked immunosorbent assay. They then calculated gluten content based on the assumption of the same ratio between gliadin and glutenin, testing gluten levels down to 10ppm (10mg/kg). They found that forty-eight (61.5%) of the 78 samples labeled gluten-free contained less than 10ppm (10 mg/kg) gluten. Another 14 (17.9%) of the 78 samples contained less than 20ppm (20mg/kg) gluten, in accordance with the guidelines established by the Codex Alimentarius for gluten-free labeling. However, 16 samples, over 20%, contained gluten levels above 20 mg/kg, ranging from 20.3 to as high as 60.3 mg/kg. Breakfast cereal was the main culprit, with five of eight breakfast cereal samples showing gluten contents above 20ppm (20 mg/kg). The study does not name specific brands tested, nor do they indicate whether tested brands are themselves monitored by independent labs. Still, the results, while generally encouraging, show that more progress is needed to make sure that all products labeled as “gluten-free” meet the FDA guidelines. Until that time, it’s a matter of “caveat emptor,” or “buyer beware,” for consumers of gluten-free foods. J Food Prot. 2014 Oct;77(10):1830-3. doi: 10.4315/0362-028X.JFP-14-149.